Italian composer and violinist. Corelli was the fifth child born to a prosperous family of landowners; his initial musical study was probably with the local clergy, then in nearby Lugo and Faenza, and finally in Bologna, where he went in 1666. His studies there were with Giovanni Benvenuti and Leonardo Brugnoli, the former representing the disciplined style of the Accademia filarmonica(to which Corelli was admitted in 1670), the latter a virtuoso violinist. By 1675 (and perhaps as early as 1671) Corelli was in Rome; he may have studied composition under Matteo Simonelli, from whom he would have absorbed the styles of Roman polyphony inherited from Palestrina. A trip to France has been postulated during these years, as has a visit to Spain, but neither has been securely documented. In 1675 he is listed as one of the subordinate violinists ("Arcangelo bolognese") in Roman payment documents; by 1679 he had begun to lead Roman orchestras. In 1680 he may have visited Germany; the later dedications of his op. 5 (to Electress Sophie Charlotte of Brandenburg) and op. 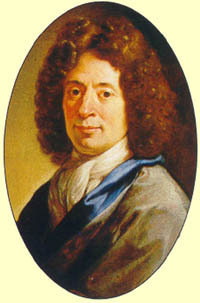 6 (to the Elector Palatine Johann Wilhelm) support the idea of direct connections between die composer and German courts. 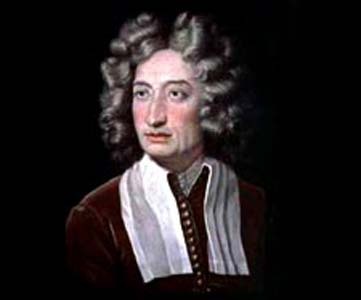 From 1681 until his death he was in Rome, making only a few trips (one to Naples in 1702 to play in Scarlatti's Tiberio, imperator d'Oriente, during which Burney claimed that Corelli was somewhat embarrassed by his own mistakes and surprised by the skill of Neapolitan violinists). His Roman patrons included the dedicatees of three volumes of trio sonatas: Queen Christina of Sweden, Cardinal Benedetto Pamphili, and Cardinal Pietro Ottoboni (op. 3 was dedicated to Francesco II, Duke of Modena). He was active as a performer and leader of small and large instrumental ensembles in Roman homes and churches and at public celebrations. He is known to have directed relatively large orchestras: at an Academy of Music organized by Queen Christina in 1687 he led 150 string players. He composed sinfonias and concertos for these occasions, often as introductions to large concerted works by others; Georg Muffat reported hearing and playing such instrumental music on a visit to Rome in 1682. Two years later Corelli and Alessandro Scarlatti became members of the Congregazione dei Virtuosi di S. Cecilia; Corelli was head of the instrumental section in 1700. In 1706, along with Pasquini and Scarlatti, he was inducted into the Arcadian Academy (taking the name Arcomelo Erimanteo); during that same period he met Handel in engagements at the Pamphili and Ruspoli palaces (he directed the orchestra for performances of La resurrezione in 1708). After 1708 he retired from public view. Compared to other violinist-composers (Marini, Stradella), Corelli eschewed virtuosity. He was firmly in control of the language of tonality, but not all movements are tonally closed. A traditional distinction between sacred and secular pieces is maintained in each collection in terms of the character of most movements and the scoring (in trios for the church, two violins, violone or archlute, and organ continuo; for the chamber, two violins and violone or harpsichord); but dance movements may appear in church sonatas and fugal movements in chamber works. In fact, there was little precedent in Italian prints for such chamber sonatas as those of Corelli; the precedents are from Germany and England. He published only five volumes during his lifetime. 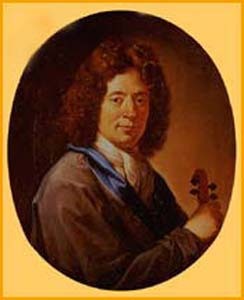 In the late 17th and 18th centuries Corelli's reputation as a performer and teacher was at least equal to the reputation he achieved as a composer. Italian and foreign students contributed to the dissemination of his works and his style of playing (Gasparini, Geminiani, Somis, Anet, Störl). His sonatas were widely performed and often reprinted, both as ideal practice material for students and as models for composers. For the solo sonatas (op. 5) there are several extant sets of ornaments, some attributed to the composer himself (Walsh, 1710); his works remained especially popular in England, where Ravenscroft imitated the trio sonatas and Geminiani transformed several solo and trio sonatas into concertos. The implications of fully systematized tonality were first realized in the concerto compositions of Corelli and his contemporaries. His concerti grossi (heard in Rome as early as 1682, but not published till 1714) exploit the contrast of smaller and larger instrumental groups within a movement that had been used previously by Gabrieli and the later Venetian composers, particularly Legrenzi. 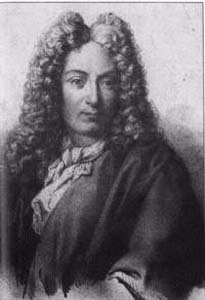 Corelli's treatment differs fundamentally from that of his predecessors, for whereas they had merely detached small groups from a main orchestral body from time to time to vary the texture, he opposes a fixed 'concertino' string trio of two violins and cello to a 'ripieno' string band, each group having its own continuo. He makes little or no difference between the two groups either of material or treatment: the soli tutti contrast is his chief concern. He was not an innovator in formal organization, usually following the patterns of the earlier Bolognese church and chamber sonatas in the number and order of the movements: thus the Concerti da chiesa,nos. 1-8, have normally five movements (occasionally supplemented by brief linking movements) alternating slow and quick tempi; the Concerti da camera,nos. 9-12, consist of a prelude in contrapuntal style and three dances, with either brief links or contrapuntal movements between the dances. In matters of style, however,, his works were of fundamental importance for the subsequent development of Italian baroque music. His allegros are characterized by rapid changes of harmony underlining the metrical structure, repeated notes, widely ranging themes, more idiomatic violin writing than any previous composer had used, and above all a mechanically progressive rhythm which, in conjunction with the sequential progressions and strictly organized harmonies mentioned above, gives an impression of inevitable development and relentless progress. In contrapuntal adagios he produces an effect of diversity of parts without thickening the texture by continually crossing the lines of the two violin parts, the apparent polyphonic complexity being heightened by chains of suspensions and seventh chords. His fugues achieve a similar effect by frequent entries of the subject in a texture which shifts rapidly from two- to three- or four-part counterpoint.